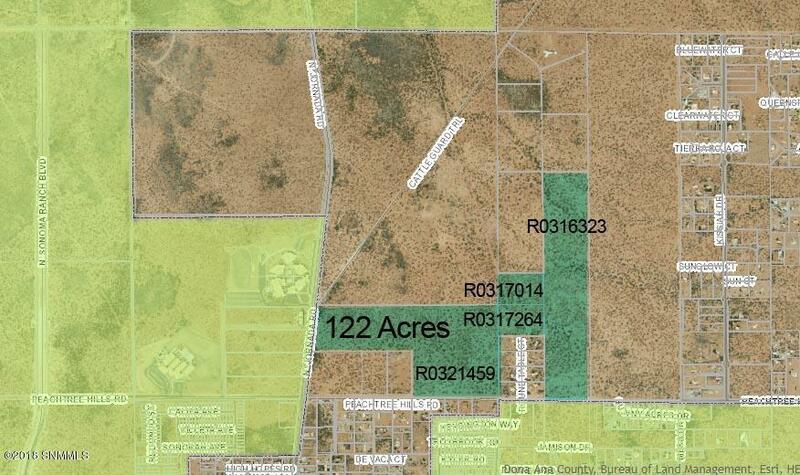 122.9 Acres consists of 4 parcels that must be sold together. Great possibilities for a subdivision. Near shopping, schools, etc. Listing provided courtesy of Allen Takeshita of Steinborn & Associates: (575) 522-3698. All listing information was provided by Southern New Mexico Multiple Listing Service.